Zelda Wind Waker: Link in the Forbidden Forest! 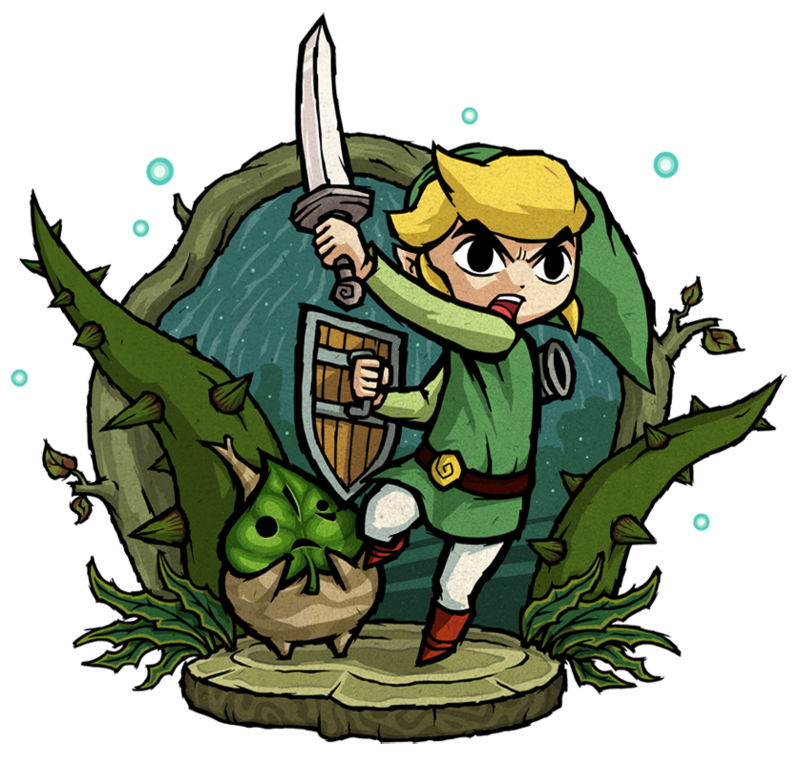 This is Link in the forbidden Forest from Zelda: Wind Waker, drawn in the style of the official art of the game by the Polish Artist Starfoch who drew this fan art for a T-Shirt for his brother actually, but also because he is a big fan of Zelda WW and its unique art style. And so he decided to make art like that by himself since chances were super low that something new by Nintendo themselfes would be made. Well, now that the HD Remake for Zelda Wind Waker was just announced by Nintendo for the WiiU there might be new art as well…how cool is that?